We all have unique size needs, but it helps to know what ballpark you might be in. Don’t know how to read glasses sizes? Find out here. Lens width 45 to 50 is petite in most frame shapes. However, round frames are an exception. That’s because round frames have relatively narrow lenses and wide bridges. 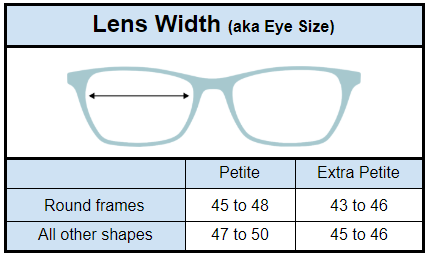 Lens width 43 to 48 is petite in round frames. 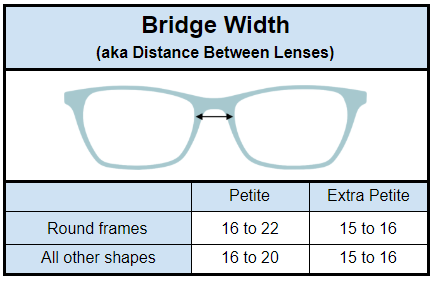 Like lens width, bridge width is different for round frame shapes versus other shapes. Since the round lenses are narrower, the space between them is wider. 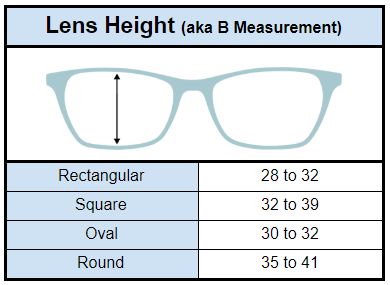 Most likely, your bridge measurement for round frames will be 2 or 3 mm larger than it is on other frame shapes. The temples on petite frames are shorter than on average sized frames, allowing for a more secure fit. 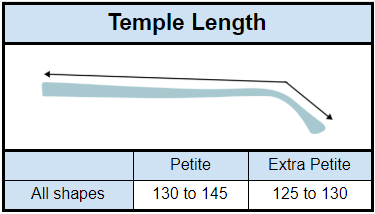 They are also generally longer than the temples on children’s frames. That’s good because kid’s glasses with too-short temples can cause pain behind the ears. The height of your lens should be proportionate to the length of your face. Frames that are too short on a long face will make it appear overlong. Likewise, too-tall frames on a short face will make it appear swallowed up by the frames. If your face is long and thin, go for frames with more height. Try square or round frames. If your face is short and wide, go for frames with less height. Try rectangular or oval frames. 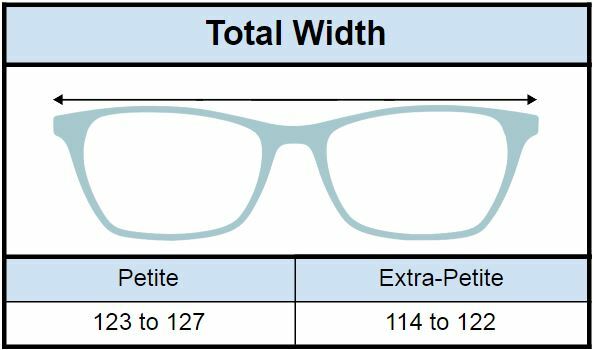 The total width of the frame front is not a traditional part of glasses measurements. However, as more people are buying online, many sellers are beginning to include this measurement. It’s very useful because the total width should be about equal to or slightly wider (up to 5 mm wider) than the total width of your face at its widest point. Ready to love your glasses? Ready to love your new glasses?